Click on the spotlight above and go to that page. Contact Us when you are ready or have any questions. Your credit union is too important to rely on beginner design. Let our pros handle the concept, design and layout of your piece, and give every design the style and credibility it deserves. It's about more than providing information; it's about maintaining member relationships. With bold designs and vivid color, we'll help you create great newsletters to make an instant impression. Credit union membership isn't built on nameless prospects, it's built on relationships with people. With our variable data printing, you can deliver a personalized piece, showing your members they're more than just another address. With professional style and printing, our brochures are sure to impress. From the big idea to the small details, our team has years of experience to get the job done. When it's time for the big event, put your credit union on center stage. Team up with us to create your trade show display, and make every second count. 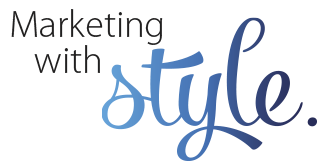 Marketing styled your way, everyday! What can we design for you today? We have styles to fit everyone, so sit back and let us show you a selection of our marketing solutions. We understand the ins and outs of credit union marketing - after all, we've been doing it for years. We're ready to help with anything and everything, from a simple insert to a fully coordinated campaign. We've got your style! If you're new to CUAdvantage, feel free to browse through some of our projects, get to know our staff, and search our Resources & Support area. If you're already a client, the Project Gallery is for you! Once inside, you can view your projects, place orders, download your logo in various formats, and more. Feel free to contact us if you have any questions. Enjoy your visit!